Pizza… We all know it, we all love it, and most importantly we love to eat it! There seems to be no limit to the ways in which the world’s most popular food is prepared. From the toppings to the sauces and its savory crust, enjoyed hot or cold, the combinations for experiencing pizza are endless. Oven baked breads with various toppings and foods similar to pizza have been around since the Neolithic age, and their exact origins remain unknown, but pizza in some shape or form can be found in almost every region of the world today. Pizza, as we know it now, first made its appearance in Naples, Italy where the name and dish was created by bakers in the 17th century. It was known as an affordable street food amongst the poor Neapolitan population, and was actually deemed “disgusting” by Italian authors of the period. How things have changed. Whatever your pie of preference may be, pizza is a serious cash commodity of the food industry nowadays, with sales estimated at around $38 billion annually in the United States alone! 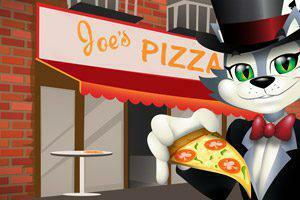 If that doesn’t make your mouth water, CoolCat Casino has some tasty offerings of its own. For instance, if you like exotic toppings on your pie then you’ll definitely be a fan of CoolCat’s popular slots game Dragon Orb. 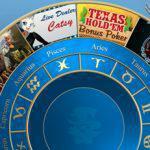 Choose from over 220 popular slots or table games! Without a doubt, one of the most favorite styles of pizza in the U.S. is the New York-style slice. This pizza style evolved in the Big Apple from the traditional pies created by the first waves of immigrants who came to the U.S. from Italy and Sicily. New York-style is generally made from a large hand-tossed dough and is sold in slices for busy New Yorkers on the move. The crust is characteristically thin enough to be pliable and should be folded in half before eaten. You’re not eating New York-style until you fold your slice in half. Traditional toppings are a simple marinara or tomato sauce, and shredded soft mozzarella cheese. 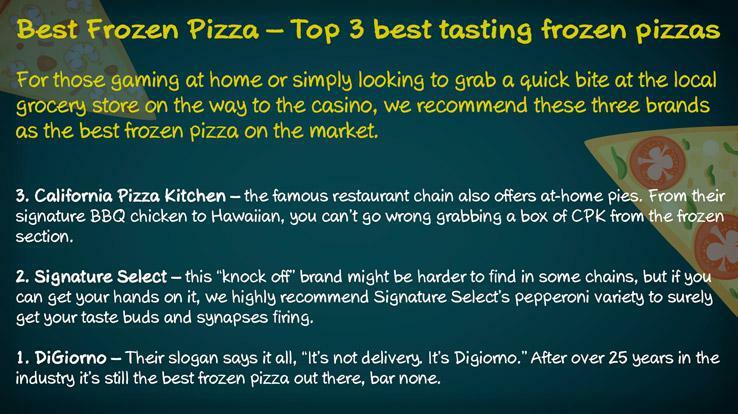 Where do we recommend you go to get the perfect slice? Joe’s Pizza in Greenwich Village, they’ve been doing it right for over forty years. 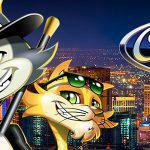 Play the best online games at CoolCat Casino today! Often considered the rival of the New York-style, this pizza is notorious for being very thick with a multi-layered consistency. Though Chicago-style pizza comes in many varieties, its signature pie is Deep Dish, and as the name suggests it has a very deep crust and a chunky sauce. Its origins are believed to date back as early as the 1940s, and the pizza itself resembles more of traditional pie than a flatbread. It’s usually baked in a round, steel pan which takes a lot longer to cook, and traditional “toppings” are added from bottom up, starting with a heavy tomato sauce base, mozzarella cheese, and dough that is pressed up onto the sides of the pan to form a bowl. Let’s just say it’s not for the faint of heart. We recommend you go to the Art of Pizza to grab your own serving. It’s been consistently voted the best deep dish pizza in Chicago by Chicagoans who take their deep dish very seriously. Not in or near Chicago but still have a taste for Chicago-style deep dish pizza? 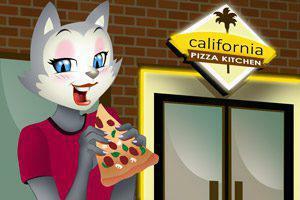 On the West Coast the place to go is Zachary’s Chicago Pizza in Berkeley, Oakland or Pleasant Hill all in the East Bay. It’s so good people have been known to drive hours on end just to pick up a pie. The Windy City’s neighbor became famous for a style of pizza that also started in the 1940s. Though it has been made popular in the U.S. by fast food pizza chains like Papa John’s and Dominos, to get the authentic version of this iconic pizza, you need to head over to Detroit, Michigan. Detroit-style is known for its square shape and thick, well-oiled deep dish crisp crust that generally comes with either pepperoni or mushroom toppings. It’s baked twice in an industrial pan that gives it a uniquely fried and crispy texture. Want a slice? 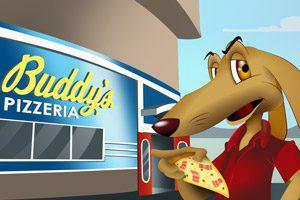 We recommend you head over to Buddy’s Pizza, open since 1936. Like the singer Huey Lewis said, “It’s hip to be square”, and avid eaters of Grandma-style pizza know this all too well. There are of course variations, but the basic steps that create this style of pizza are as follows: dough is stretched thin into a square dish known as a Sicilian pan, and then topped lightly with shredded mozzarella and crushed canned tomatoes, seasoned with garlic and olive oil, and baked until the cheese is hot and bubbly. The precise origin of this popular pie is a little unclear. Experts suggest that the variation originated in Long Island, New York back in the 1970s, and its moniker (grandma) is a nod to the Sicilian grandmothers that influenced this style pizza. Where can you go to find this family favorite? We suggest you try Roberta’s in Brooklyn. Possibly the best pizza in New York. It’ll have you saying, “Unn c’è mali”. California-style pizza first made an appearance on the West Coast in 1980, and was popularized by celebrity chef Wolfgang Puck at his world-renowned restaurant Spago. This style of pizza is traditionally made with a thin Italian style crust spruced up with a twist, its unique toppings. These can range from avocado and artichoke hearts to cooked eggs and smoked salmon. The most famous California-style pizza, however, is the signature barbeque chicken pie, which continues to be a huge hit throughout the U.S. all thanks to successful restaurant chain California Pizza Kitchen. If you don’t make it out to the West Coast, Wolfgang Puck owns a series of first class restaurants that serve the prominent pie style throughout the continental U.S. The most famous of these can be found in Las Vegas and Atlantic City, just a stone throw away from beloved casinos like Aria and the Borgata. So when you need a break from the poker tables, be sure to head over to grab one. Or why not have slice while you play poker at our tables! 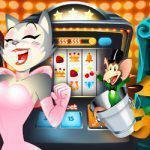 Check out CoolCat Casino’s exciting video poker games! If you are in California, however, we recommend you try the original California Pizza Kitchen restaurant, open since 1985 in Beverly Hills. To get this iconic style of pie you’ll have to head a little further inland to Missouri. Though St. Louis is most famous for its barbeque cuisine it has also become famous for having its own pizza. St. Louis-style pizza is crispy, with a cracker thin base, has a round shape, and cut and served in squares. Toppings generally stretch all the way to the edge, covering the crust, and are complimented with a sweet sauce and local cheese called Provel that has a distinct, smoky flavor. The pizza is basically like a big delicious plate of cheese and crackers. St. Louis-style is great for parties, which is why the pieces are known as party cuts, and has been around since the 1960s. Head over to Imo’s for the most popular varieties. This Italian-American adaptation borrows heavily from its Mediterranean counterpart. Over the past decade, Neapolitan-style pizza has become a favorite amongst Midwesterners. Wood-burning ovens and sourdoughs that ferment anywhere from a few hours to days are the secret behind this style of pizza. The crust is incredibly soft and airy, which adds a lovely crunch with each bite. Toppings of fresh tomatoes, herbs, imported cheese, and olive oil will have pizza enthusiasts young and old asking for more. Be sure to hit up Spacca Napoli next time you’re in the Windy City for a taste of the “old country”. Though it’s probably more popular in chains throughout the U.S. than in the chain of islands where it originates, Greek-style is another very popular style of pizza. This pizza is baked in a pan, instead of in an oven like traditional pies. The pan is shallow and heavily coated with olive oil, making for a chewy and puffy crust similar to focaccia bread. Sauce is tangy and thick due the variety of tomatoes used, and mozzarella cheese is used sparingly, and it’s all topped with oregano instead of basil like its Italian cousin. Just be sure not to conflate it with its Greek-American imitation that comes covered in feta. Go to Just Pizza in Athens for the real deal. Speaking of real deals, did you know that CoolCat Casino offers weekly promotions and bonuses to new joiners and regular players? 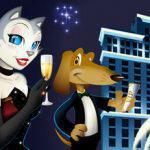 Be sure to check out our welcome bonuses, match deposits and VIP promos at CoolCat Casino today! Though Italy was harsh on its Neapolitan pizza lovers at the time of the pie’s conception, things have fortunately changed for the better. After Italy unified in 1861, King Umberto I and Queen Margherita visited Naples in 1889. After getting a bit bored with a steady diet of fancy French and Italian cuisine, the pair decided to try the latest flatbread craze that was creating a storm across the coast; and the rest is history. Since the 1950s, Naples has become the benchmark for good pizza, because let’s be honest, there’s pizza, and then there’s pizza. When you want the latter, you go to where it all started, Italy. Walking around the cobble-stone streets of Naples you’ll find a very unassuming pizza shop, Pizzeria da Michele. But don’t let its low-key appearance fool you, the pies dished out at this modest parlor have been voted by aficionados and pizza lovers alike as the best in the world. Fast food chains like Pizza Hut are pushing the limits of pizza styles to expand their market in countries like Japan and the Middle East. Theses specialty menu items include the Crown Crust Pizza, a pizza that comes with a crust made entirely out of cheeseburgers; or the Crown Crust Chicken, a chicken tender crust infused pizza. Pizza Hut UK even released a limited time pizza that came with a crust stuffed with hot dogs. It’s difficult to call these types of carnival foods pizza; an abomination would probably be closer to the truth considering that they come with enough calories to feed a small army. Back in 2005, Italy’s former Prime Minister Silvio Berlusconi gave this chilly Nordic country some unflattering reviews about its food; stating that Finns had to “endure” Finnish cuisine. 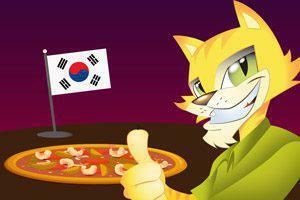 Fortunately, its most popular pizza chain Kotipizza came to the rescue. In March of 2008, the America’s Plate International Pizza contest was held in New York City, and its judges tried pizza from vendors worldwide to see who had the best pizza. Who won first place? Finland of course, with their specialty pizza the Berlusconi: a combination of smoked reindeer, tomato and cheese, chanterelle and red onion. You can still get the pie at Kotipizza restaurants in Finland, but you have to go all the way to Lapland for a slice of Rudolph. Known for its franchise of pizza chains throughout the country, Mr. Pizza has taken the global obsession of the pie to another level. The reason? Not only does Mr. Pizza make pies, but they have a competitive pizza dance team that participate in pizza tossing championships! The variety of special pies that they offer are more in sync with the tastes of traditional Korean food; these include pizzas with sweet potato crusts, and shrimp and sweet corn toppings. If you’re really looking to spend big, we’ve got the place for you. New York City is home to the most expensive commercially available pizza on the market today. This luxury pie is only sold at Industry Kitchen and is served to anyone who doesn’t have a problem with the price tag. The reason why it’s so expensive is simple, the ingredients. The “24K” as it’s called, consists of black squid ink dough, white Stilton cheese from the U.K., foie gras and truffles from France, Ossetra and Almas caviar from the Caspian Sea, and actual 24K gold leaves sprinkled on top. The price tag? A whopping $2,700! How’s that for fine dining. Today’s technology is pretty extraordinary, and the advancement of the capabilities of robots have come a long way. Nowadays robots can create everything from cars to art, and some even look and act like humans (kind of). 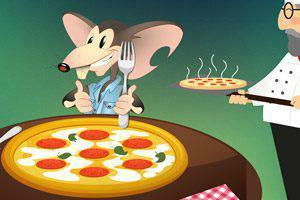 There is one special bot in Silicon Valley, California, however, that can print pizza using a 3-D printer. After receiving a $125,000 grant from NASA, the start-up company Beehex developed a machine intended to feed astronauts something a bit more palatable than freeze-dried spinach or mashed potatoes for their potential future Mars missions. According to the company’s co-founder, Jordan French, the pies can be printed in any shape (which is relatively easy because they’re flat), and their machine programmed to portion the sauce, cheese and toppings based on the consumer’s request. If you don’t have the kind of coin to travel the world (or space) and eat pizza, then you should hit up Pizza Rock in Las Vegas because they offer each popular variety. Started and run by 12-time world pizza champion and restaurateur Tony Gemignani, and long considered the best pizza in Las Vegas, this restaurant has 9 massive ovens with each capable of churning out eleven different varieties of the most popular pizza from thin crust to thick. Once you’re done scarfing down your favorite style of pizza, head down to the Strip for a hand at the poker tables or have a spin on your favorite slots machines at a real Las Vegas casino! Don’t want to go all the way to Vegas? Why not try some of our table games like Tri Card Poker or Blackjack for a chance to win big while munching on your best local pizza in the comfort of your own home! If you’re in Las Vegas and looking for a little more than casinos and your average bite, you should check out the International Pizza Expo when it’s in town. Known as the “Super Bowl of pizza” this multi-day mega-event is all things pizza. Vendors, restaurateurs, pizzaiolos, enthusiasts and casual eaters come here from all over the world to get the ultimate experience; trading knowledge of the industry, selling the latest products including full-sized pizza ovens, exchanging ideas and of course eating a lot of pizza. The expo even hosts competitive freestyle acrobatic dough-tossing at the World Pizza Game Championship. For more information check out the link below! 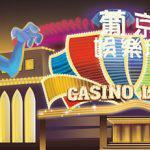 • Whether you are playing at a real casino or on an online casino, be sure to enjoy your pizza and gaming responsibly! If you’re still hungry we recommend you go grab a slice! Once you’ve had your fill of pie, head on over to CoolCat Casino for some spectacular online casino games or just have your favorite pizza delivered to your doorstep while you game at home! From slots to tables or specialty play, CoolCat offers the latest variety of incredibly exciting casino games for new joiners, avid gamers and everything in between. Whether you’re honing your skills or playing for free, you can choose the instant play option or play for real money by registering on our site. If it’s your first time, be sure to take advantage of our awesome welcome bonus or the variety of other bonuses we offer each week! 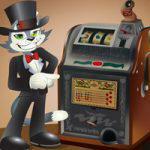 Don’t miss out and visit CoolCat Casino today!